About Us - Credit Mediators Inc.
Credit Mediators Inc. (CMI) is a full service commercial credit and collections company that has been helping businesses of all sizes maximize their cash flow by resolving outstanding debt challenges since 1976. Our continuous mission is to be number one in customer satisfaction. We achieve this goal by providing commercial credit and collection professionals with experience and a focus on maximizing cash flow, while also recognizing the value that your customer represents to your business. We collaborate with our clients to understand their requirements, with a view to meeting and exceeding their expectations. Finally, we serve our families, and our communities in which we live and work, by being responsible citizens. We understand that our continued growth and success depends on providing superior customer service, results, and integrity. Our proven approach combines experience, process, tools, and technology with highly trained professionals to produce outstanding customer service, and a commitment to quality that ensures we deliver successful collection outcomes. Our full suite of commercial collection services includes Direct Collect, Letter Series, Outsourcing, Bankruptcy & Turnaround, and Credit Report Plus solutions designed to meet any B2B company’s needs. CMI is registered in all 50 states and is licensed and bonded in the states where required. Contact us today to learn more about how CMI can help you solve your commercial debt collection challenges. Protect yourself and your clients by choosing an agency that is registered, licensed and/or bonded in all states where required. CMI is registered, licensed and/or bonded in those states that require it. Using an unlicensed agency leaves companies vulnerable to costly and unnecessary litigation. Some states can even require that a company return money to a debtor if they used an unlicensed agency to collect it! Do not put your company or your clients at risk by using a collection agency that has not obtained the required state registrations, licenses, or bonds. 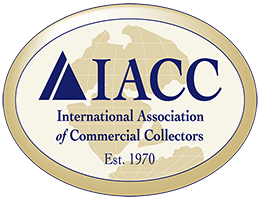 The International Association of Commercial Collectors, Inc. (IACC) is an international trade association comprised of more than 210 collection specialists and 140 commercial attorneys. With members throughout the U.S. and in 20 international countries, IACC is the largest organization of commercial specialists in the world. 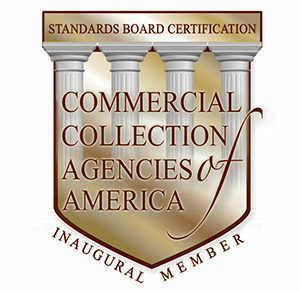 To become a member requires a collection agency to meet a rigorous set of standards. The IAAC also requires members to meet certain bonding and client trust account banking standards. The IACC also checks client references to verify that an agency’s professionalism and character are aligned with the IACC code of professional ethics. As a member of the IACC, CMI has demonstrated that the company has met all requirements and is well established with experienced owners and principals. It also indicates that CMI is committed to quality and ethical conduct between itself and its clients, creating an environment of trust and integrity.